Are you worried your house hasn’t gotten a deep clean in a few months… or years? Like, maybe you’re afraid to look behind the couch? But we can’t just let you procrastinate like that. We also don’t want you wasting money on pricy cleaning products, so we found some smart — if surprising — alternatives. Here are some clever DIY housekeeping tricks that will actually save you money — and impress your friends while you’re at it! Have you heard about this? You can use vinegar to disinfect your microwave, scrub filthy pots and pans, shine dusty surfaces and de-scum your shower head. 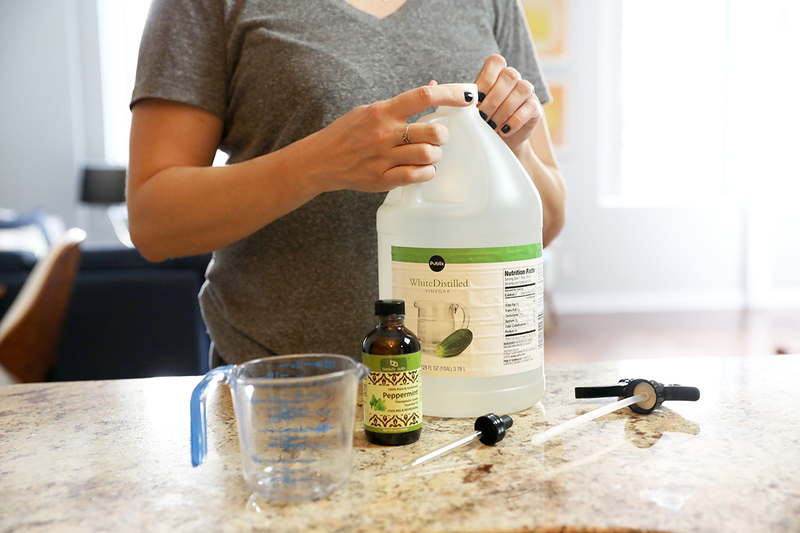 Take your DIY cleaning to the next level (and avoid the vinegar smell) by filling your caddy with homemade cleaning products. Our writer Lisa Rowan experimented in her own home with all-purpose cleaner, dish soap, bathroom scrub, reusable wet floor wipes and air freshener, and she came clean with her results. Do these recipes sound intimidating? I thought so, too. Then Lisa demonstrated how to make them on TV, and now I see how easy they are. Bypass her prescriptions, and find the Efferdent — even if you don’t have dentures. Trust me. I cleaned my whole house with denture cleanser, even one horrific bathtub. You can clean — and disinfect — your toilet, bathtub, sink, coffee mugs and other ceramic vessels with a tablet or two! Plus, instead of the stinging aroma of bleach, you’re left with a minty-fresh scent. Rubbing alcohol mixed with water can defrost your windshield. Here’s creative frugality at its finest: rubber bands for everything. You probably have a few of these cheap, colorful, versatile gems wallowing in the corner of your junk drawer. You can use them around the house in place of expensive tools and accessories you’re bound to lose, anyway. We all know that magic duster and its endless refills are hard on the wallet. But you buy them anyway, because they make cleaning so easy. Stop. You don’t need them. You can get the job done with dryer sheets. Run a sheet along your baseboards or bookshelves to remove dirt and dust. Plus, your living room will smell like fresh, clean laundry! Mmmm.